MIAMI (Nov. 29, 2012) – Ultraluxury Silversea Cruises is the first cruise line to sign on to call at Banana Coast, the newest western Caribbean cruise destination at Trujillo, Honduras. The 296-passenger Silver Cloud is scheduled to call Dec. 17, 2014. Silversea has been recognized by leading consumer and trade publications as defining the ultra-luxury cruise experience. 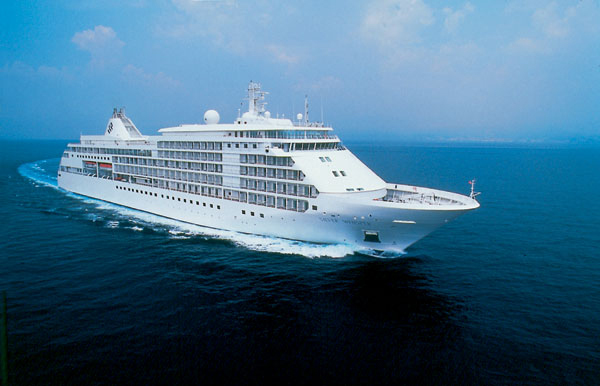 In the United States Silversea was voted “World’s Best” by readers of Condé Nast Traveler nine times and Travel & Leisure seven times, and was awarded “Best Cruise Line for Luxury Small Ships” by Luxury Travel Advisor in 2011. Greve said construction at Banana Coast, which began in August 2011, is now 80 percent complete, and the facility is expected to have a soft opening in January 2013. The port will be open to host ships throughout 2013 and beyond. Plans for Banana Coast Landing call for construction of a 50,000-square-foot shopping facility and transportation hub on 10 acres of beachfront land. Themed “Where the Rainforest Meets the Sea,” the $20 million Banana Coast project currently employs 150 construction workers, engineers and architects. A future phase will see construction of a two-berth, post-Panamax pier. In March 2012, the developers unveiled an ambitious and diverse shore excursion program designed to offer something for everyone, including cultural, soft-adventure and eco-tour offerings. The tours enable guests to explore the area from land, air and sea. In addition to the signature tour — Campo del Mar Nature Park & Beach Break — highlights include a VIP airplane ride to the Mayan ruins at Copan; a snorkeling adventure at a beautiful starfish bank, and kayaking in the pristine Guaimoreto Lagoon. Guests looking to stay on land have the chance to discover the port’s appeal through an exciting mountain ATV ride, a culinary tasting tour or a trolley ride through the colonial town of Trujillo. Future plan phases include creation of the 100-acre Campo del Mar, which will incorporate an integrated heritage park, river park, wildlife park and nature park — all easily accessible from Banana Coast Landing.